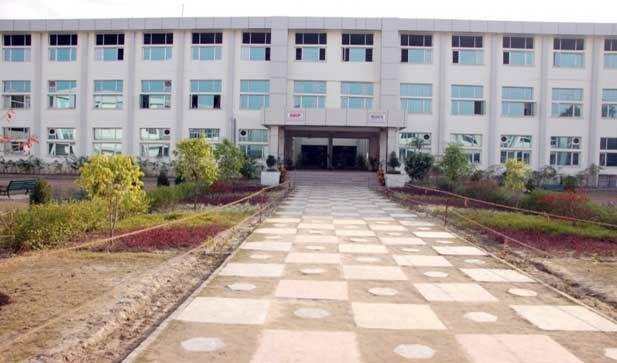 Rayat-Bahra Institute of Pharmacy is housed in the Independent building at Rayat Bahra Education City, Hoshiarpur Campus. The institute is equipped with excellent infrastructure including laboratories and equipments. Rayat Bahra Institute of Pharmacy is committed to academic excellence and with a strategic vision to be a provider of globally-competitive human resource in the field of Pharmacy. Rayat Bahra Institute of Pharmacy was started in 2008 and it offers B.Pharmacy & M.Pharm. (Pharmaceutics) courses. We believe in imparting Pharmaceutical Technical education with a difference. We respect and understand the needs of the industry and make our best efforts to prepare the students, competent enough, to meet the industry expectations. To achieve our objectives, the team at RBIP keeps on taking new initiatives from time to time.